In some disciplines the goal of a muscle-up is to make it efficient, so that you can do as many as possible in a short amount of time. With calisthenics, this is the opposite. The goal is strength; you have to use more strength and power from the upper body. First from about a foot away from the bar, I jump onto the bar. This gives me the small amount of momentum I need to get myself in-front of the bar. As an aside, this is where a lot of people go wrong with the muscle-up, they treat it like it’s an explosive pull-up. 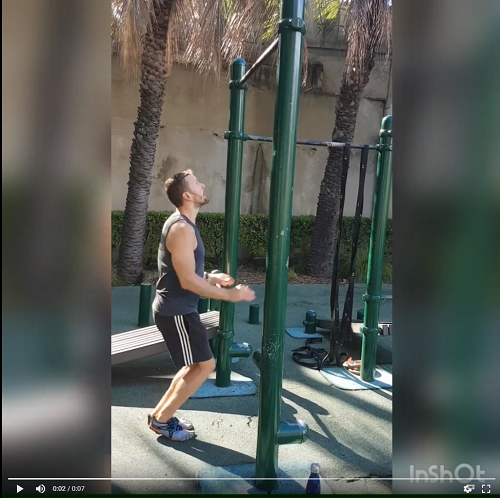 In reality a muscle-up starts in front of the bar and you then use power (and a little momentum) to take yourself around the bar. This picture is from just before I initiate the pull. You can see that my back is ever so slightly arched. In the next photo, you will see that my back is now hollow and my hips are a tiny bit further forward. This means that I am kipping an almost insignificant amount, but just enough to get my muscle-up moving. 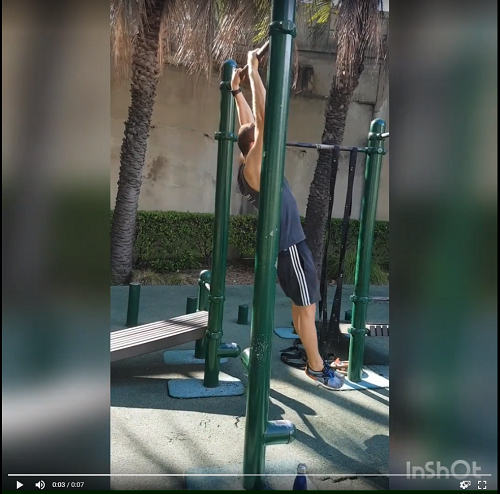 You can also really see the difference between a pull-up and a muscle-up in this picture; my body is almost in a rowing position rather than a vertical pull-up. A little further on, my arms are now horizontal. Note how far I am from the bar, this is what I was talking about in terms of pulling yourself around the bar. 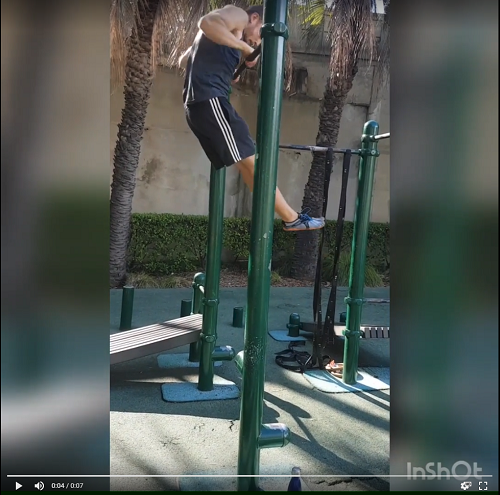 90% of the time when people chicken-wing (leading with one arm) their muscle-up, it is because they have pulled themselves too close to the bar. The only way for them to get past the bar is to then let one arm lead the way first. 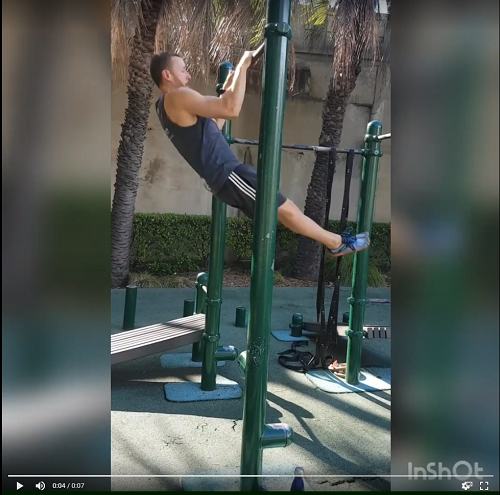 Try not to do this, it will more than likely result in injury of the leading shoulder. I’ve now come right in, bringing the bar down to my abs. All I have to do now is push. As you can see I’m using a lot of swing and kip as I didn’t have the strength to do otherwise. This is fine when starting out, however you’ll want to tidy this up. If you have any questions, then please feel free to leave a comment in the section below.